The professionals from DreamWorks Tree Services have been providing expert tree care and tree trimming services for residential and commercial property owners in Richmond Hill since 2007. The skilled teams from DreamWorks Tree Services offer the level of knowledge and experience that local property owners need to help sustain the health and the aesthetic appeal of their trees and shrubs and enhance the overall attractiveness of their landscaping. For some property owners, thoughts on the use of a professional tree care services provider may be restricted to just tree removal; basically hiring such a service to take down a tree only after it has been negatively affected by disease, insect infestation, or storm damage, or has actually died. It should be noted however, that many of the services offered by these experts are aimed at far more positive outcomes; that is, preserving or restoring the look or health of a tree or trees and/or enriching the curb appeal of a property. Hence, for Richmond Hill property owners who want to augment the beauty of the trees and shrubs within their overall landscape design, it might be prudent to call DreamWorks Tree Services at 647-261-2627 to learn more about their complete range of tree care services. Qualified arborists can be valuable assets/resources in maintaining the health and aesthetics of the trees/shrubs on residential or commercial properties. The insight and skills of these experts can be especially helpful in ensuring appropriate tree care when taking into account the seasonal weather extremes that are seen in Richmond Hill and surrounding areas. 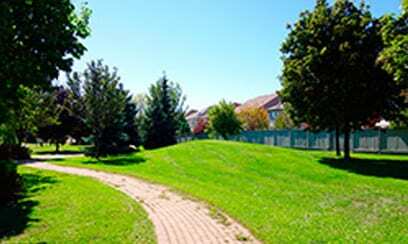 The Town of Richmond Hill is approximately 20 kilometers north of the City of Toronto yet it presents a vastly different landscape from the latter’s downtown core, due in large part to its higher elevation and its proximity to the Oak Ridges Moraine, one of the most significant ground water supply systems in Canada. 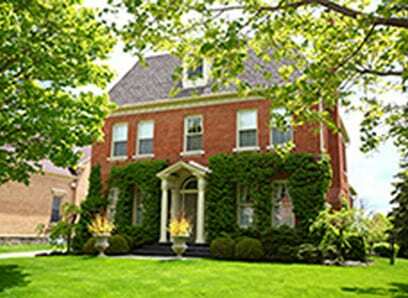 Looking to maintain or enrich the curb appeal of your residential or commercial property in Richmond Hill? Call the tree care professionals from DreamWorks Tree Services today at 647-261-2627 or contact us to discuss a free property assessment by a qualified arborist.